This year the weather was almost perfect except for the light fog that we had. It didn’t really hurt viewing the beautifully lit and decorated homes but flash pictures looked like you were in a snowstorm. The usual joyous group of people gathered together for Darry to lead us through the wonderful Christmas decorated homes. 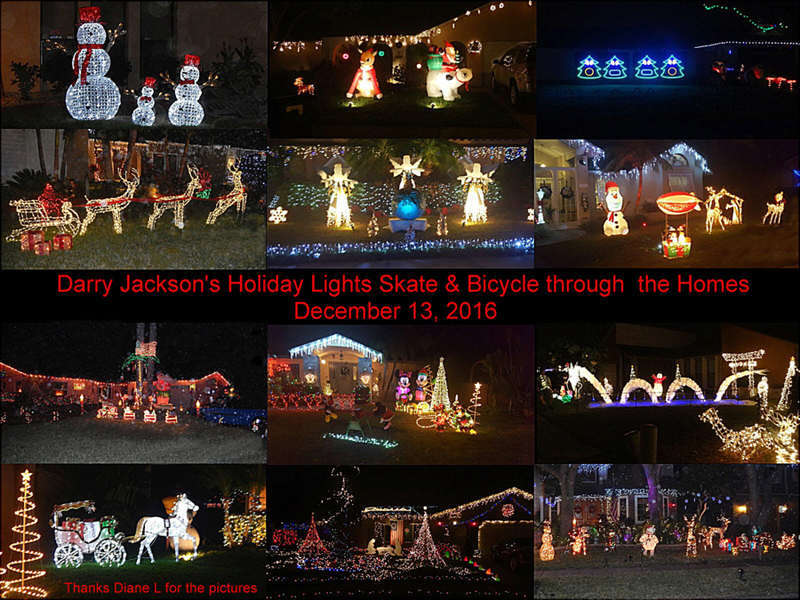 Blading and Bicycling through the neighborhood was like being lost in a Christmas fairyland. Afterwards Darry led us back to his home for all to enjoy the delicious spread of gourmet foods to devour. We all just filled our stomachs, relaxed and socialized the evening away. 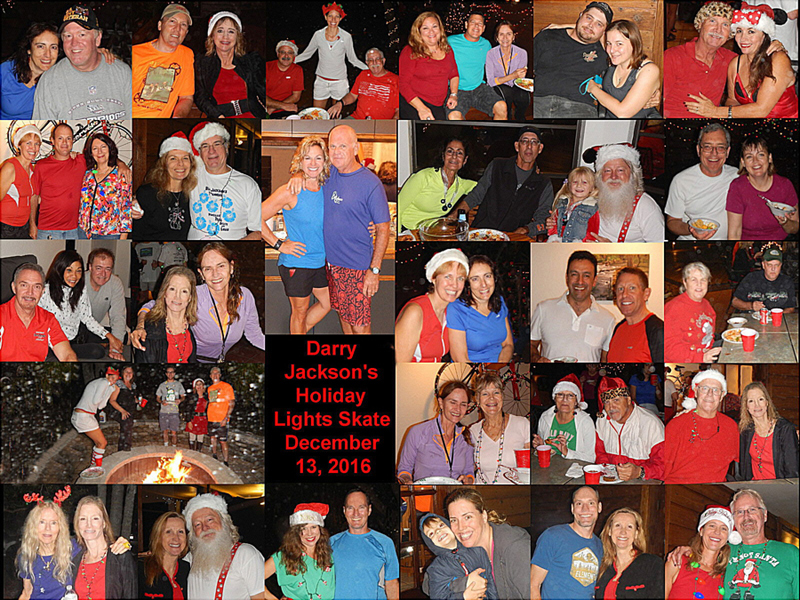 Thanks again Darry and Kelley for another memorable Holiday Lights event and fun filled evening.